Terrifying. Beautiful. Powerful. 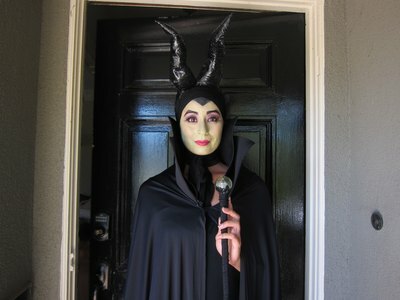 The specter of Maleficent, the glowering queen of Sleeping Beauty, and the stuff of nightmares for the somnambulant princess and her legions of fans, has never put more of a fright, nor been as topical, as she is today. This Evil Queen knows how to make an entrance. And this easy-to-make costume will immortalize you, notoriously, for many Halloweens to come. So go ahead, embrace your dark side, and be dazzlingly devilish for one cursed, unforgettable night. 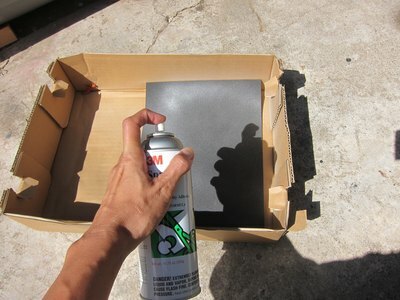 Take an 8 inch by 11 inch piece of black craft foam and spray both sides with spray adhesive. Repeat to a second piece of foam core. At each bottom corner of your 3-yard fabric, wrap foam with fabric so it is all covered. Trim excess. 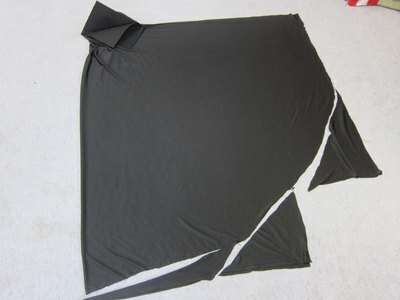 Fold the foam sheet in half as shown in the photo. 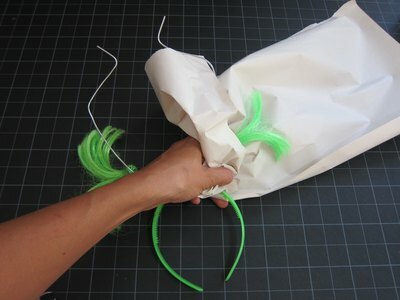 Make a line of hot glue and starting at the exact middle top of your 4-yard piece of fabric hot glue the folded foam from the mid-point along the top of the fabric in a line. 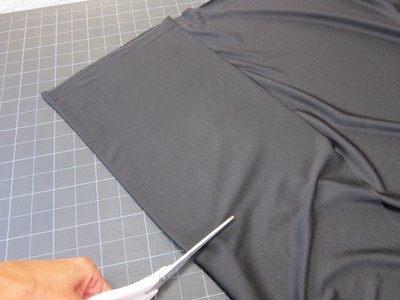 Fold fabric in half and trim the bottom corner off, rounding the bottom of the cape. Take foam collar and roll each collar in your hands away from where your face will be. 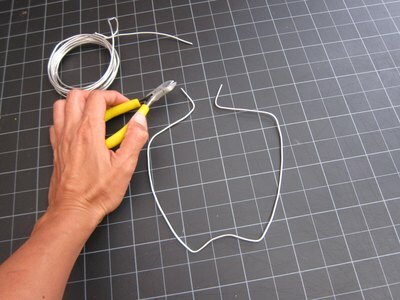 Using one 24-inch piece of armature wire, make a continuous line two horn shape. Thread the armature through the existing antenna springs. 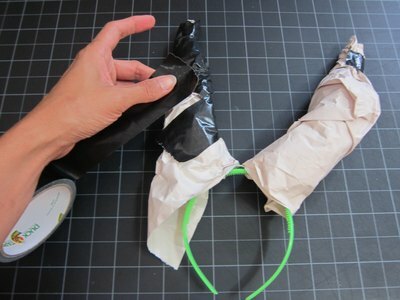 Wrap the antennas with equal amounts of newspaper on each side. Cover the newspaper in duct tape, keeping to the horn shapes. Starting at the top of each horn, wrap the horn with black ribbon all the way down to the base tying to the headband at the bottom. Cover the ribbon with a coat of Mod Podge sealer. Let dry, then cover with a second coat for a glossy finish. 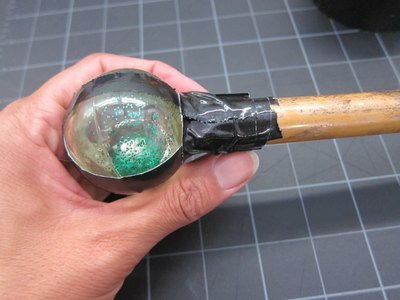 Wrap the bouncy ball with duct tape strips over the top in an "x" coming down the rod two inches on each side of the rod. Reinforce with duct tape going around the initial "x" and around the bottom of the ball a little bit. Cut the "x" away covering the top of the ball. 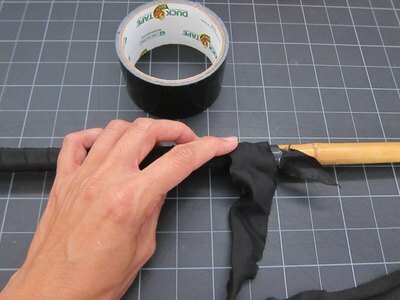 Tape black ribbon to the top of the rod and wrap it around the rod all the way to the bottom. Duct tape a piece of black duct tape to secure the ribbon around the bottom of the rod. 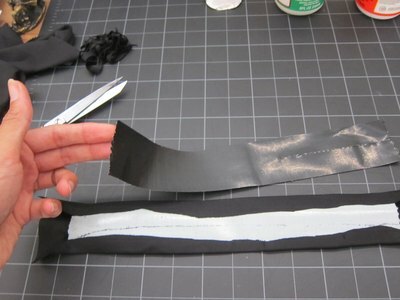 Take a piece of duct tape that is long enough to wrap around your neck and using your scrap fabric, wrap the cut edges of the fabric to the back of the duct tape. Cover the back with another piece of duct tape. 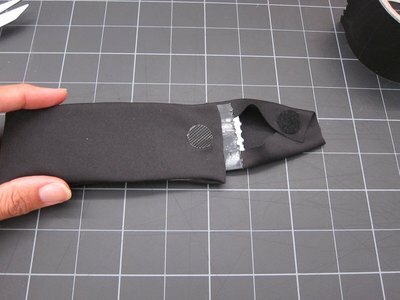 Add a velcro closure to the fabric neckband at the middle of the ends. For the makeup, combine the lightest foundation you can find with green eyeshadow, mix well. Apply to the face with an applicator. Apply purple eyeshadow and red lipstick. Add a widows peak with black eyeliner. 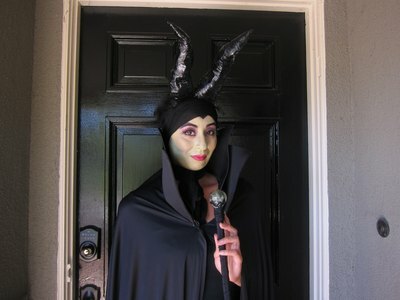 Put horns on first then wrap your head with a long black scarf, tucking it into itself. Wear head to toe black underneath the cape and you are all set.